Hardness of Quench and Tempered alloy steels is a function of the tempering temperature. The higher the tempering temperature, the lower the hardness. This is called an inverse relationship. These curves are a rough approximation of the as tempered brinell hardness for the grades shown. For example, I have other data for 4340 that shows 440 BHN at 800F; 410 at 900F; 380 at 1000F; 340 at 1100F, and 310 at 1200F temper temperature. Fire! 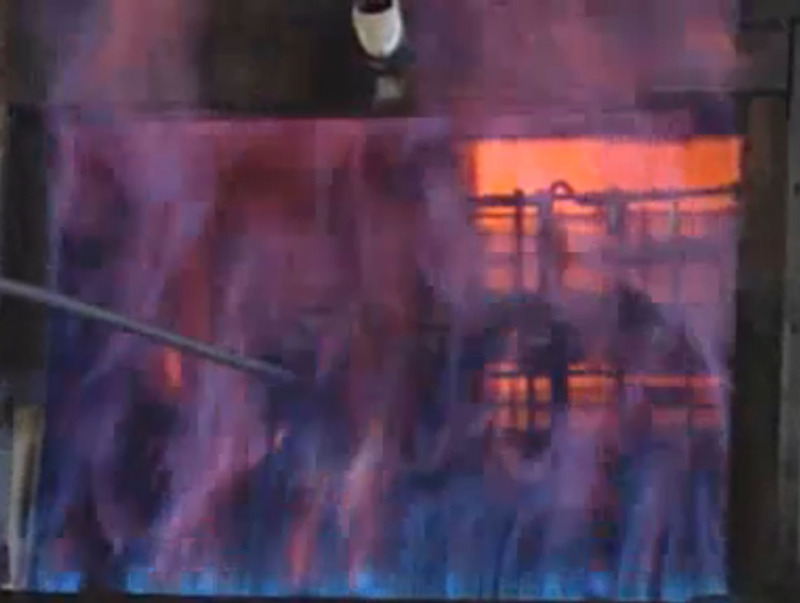 Can't do a blog on heat treat without a picture of fire. Additional 4140 data that I have from my notes suggests 397 BHN at 800F; 367 at 900F; 335 at 1000F; 305 at 1100F and 256 at 1200F. If you have better data from your process – USE IT. Better yet, if you have time, send a sample to your heat treater for a pilot study. 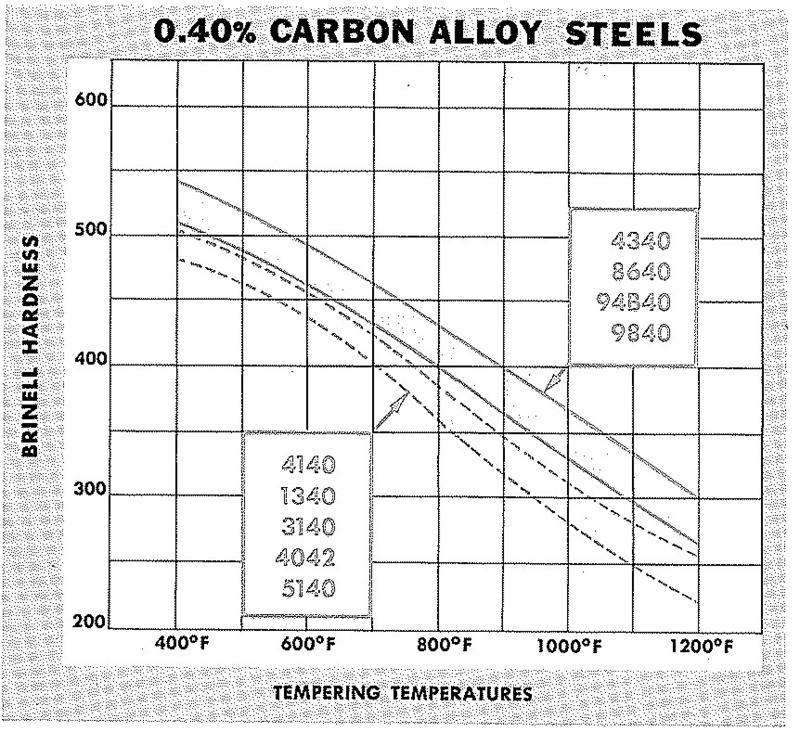 In the absence of data from your process, the above figure and data will give you “a place to stand” in understanding what is possible when heat treating .40 carbon alloy steels- the steels most commonly encountered in our precision machining shops for Automotive, Aerospace, Agricultural and general applications. 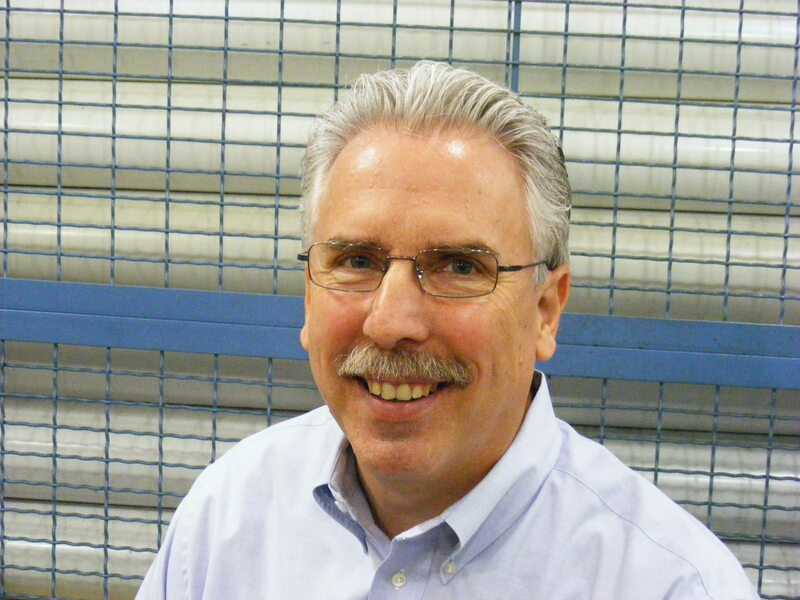 Here is a video from PMPA member company Nevada Heat Treating to give you an inside look at what goes on at a heat treat service provider. This entry was posted on Tuesday, October 5th, 2010 at 4:44 am and is filed under Engineering, Shop Floor. You can follow any responses to this entry through the RSS 2.0 feed. You can leave a response, or trackback from your own site.